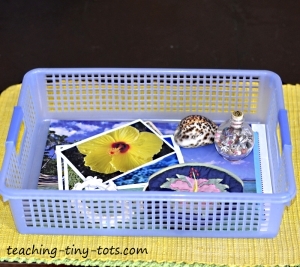 Create a basket for a state or country that your child or students are learning about. 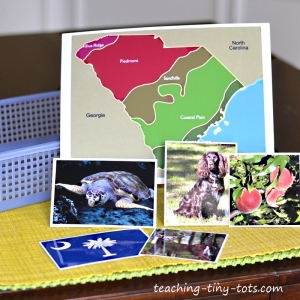 This is a great way to reinforce facts visually, hands on and orally. Find pictures online for the state map, bird, animal, flag, fruit or flower. Collect items like small souvenirs to add to the basket like key chains, post cards, news clippings, book marks, stubs, pamphlets. Label items on the back or make separate cards for children to match items with. Create a list of interesting facts on a card for fun. Create a worksheet for each child to fill out after going through the items. 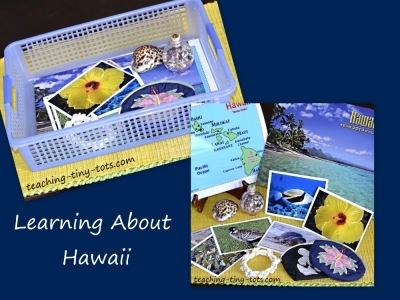 Laminate photos for longer lasting items or print on cardstock instead of photo paper. We found baskets at Dollar stores that fit 8.5 x 11 inch paper or slightly larger. Lightweight, colorful and stackable, they are great for sorting all types of activities and papers.